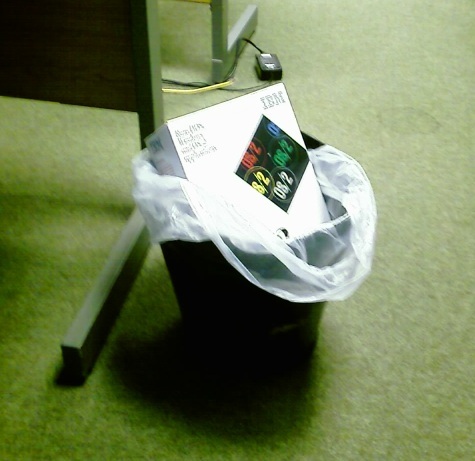 OS2 wasn’t enough for me, I feel the need to go the whole hog and get IBM’d*! I know it’s a good solid product from a technical perspective. I know its incredibly powerful. But I’m sorry, it just makes life difficult for users and administrators. The sooner this product dies the better. Our school district is presently using Domino/Notes. In a past life, I wrangled with Exchange, but even Outlook isn’t nearly the beast Notes client is. Yes, Notes should die, and I wouldn’t mind much if it took the Lotus SmartSuite along with it.